This gorgeous coastal home in Vero Beach, FL just needed a few finishing touches and styling. Shades of blue and green work beautifully in this home near the water. 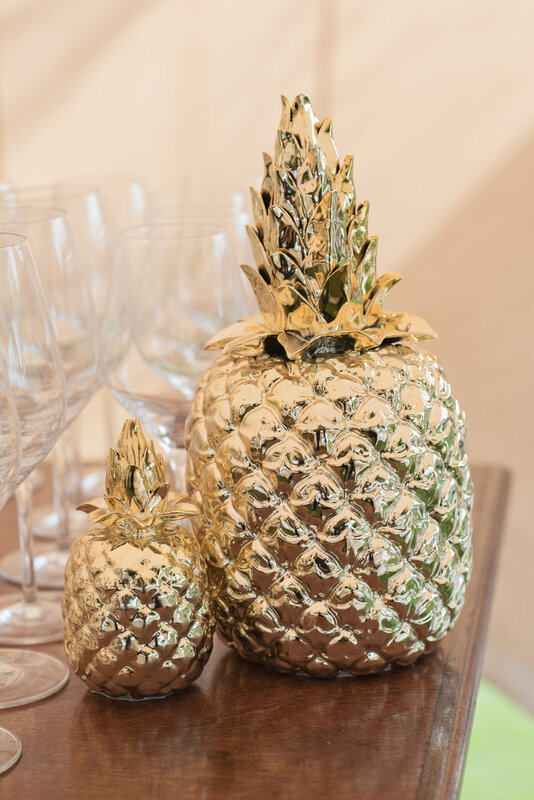 And of course we had to pop a few pineapples (our favorite) into the decor! Our prize find was the shell accent table, which we used to create a beachy vignette in the living room.